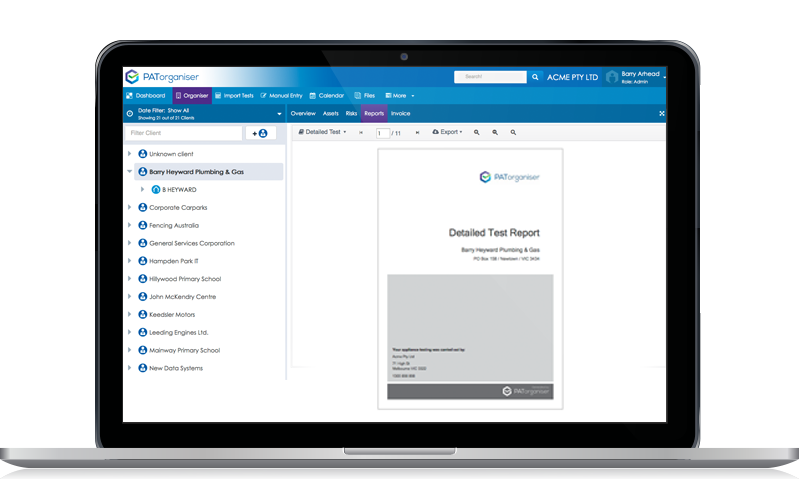 Generate Reports – Professional reports at the touch of a button. 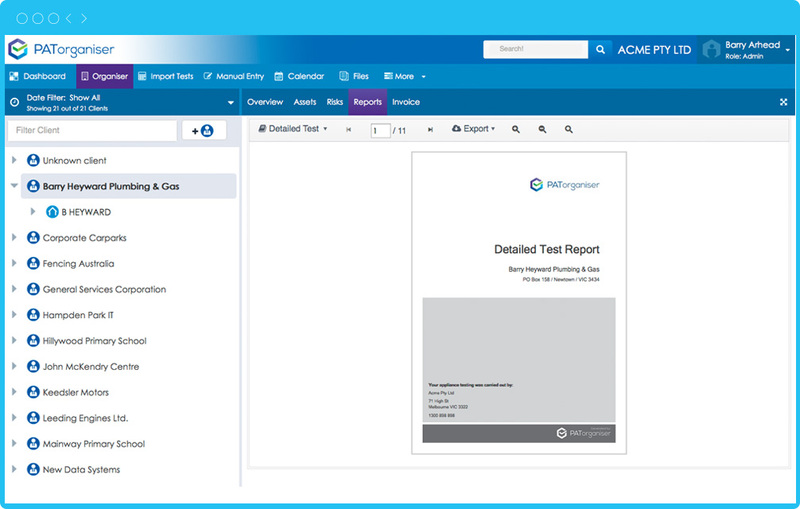 Quickly email your reports in multiple formats, and store them securely for easy retrieval if needed. 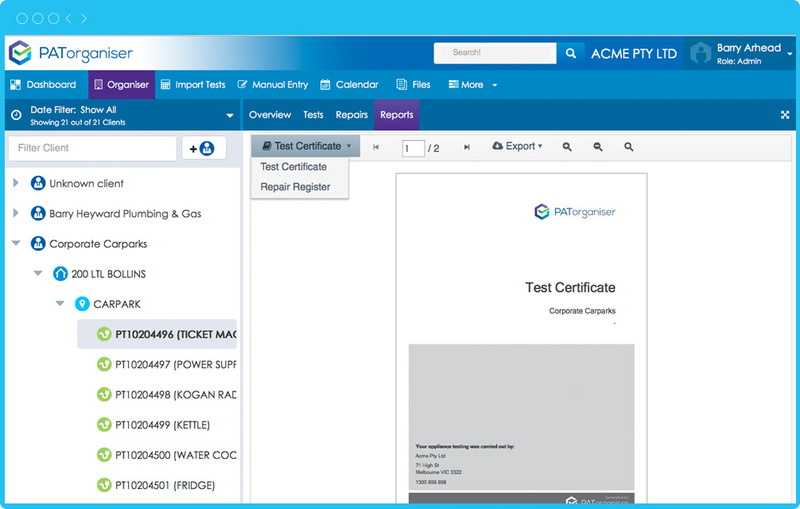 PATorganiser’s professional summary test report includes details of: Client, Site, Location, Asset ID, Description, Make, Serial Number, Date of Test, Retest Period, Next Test Due Date, Overall Result, Report Overview and Cover Page. A great looking report for all needs. PATorganiser’s professional Detailed test report includes details of: Full detailed test readings & results including RCD and Microwave testing, Client, Site, Location, Asset ID, Description, Make, Serial Number, Date of Test, Retest Period, Next Test Due Date, Overall Result, Report Overview and Cover Page. A great looking report that will satisfy any client. 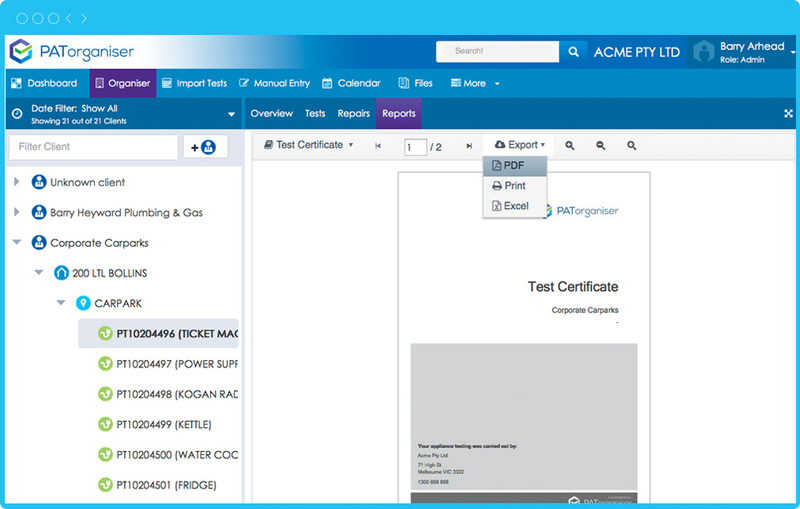 PATorganiser’s professional Asset Register report includes details of: Client, Site, Location, Asset ID, Description, Make, Serial Number, Last Test Date, Next Test Due Date, Asset Totals, Report Overview and Cover Page. A great looking report for all Asset management needs. 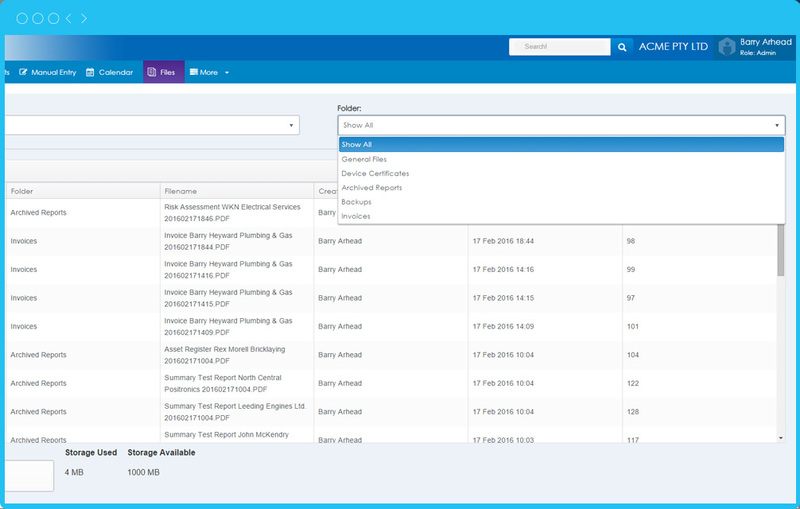 PATorganiser’s professional Repair Register report includes details of: Client, Site, Location, Asset ID, Description, Date, Equipment Fault, Action Taken, Asset Photo, Repair Photo, and Cover Page. A great looking report for detailing and logging all of your repairs. PATorganiser’s professional Risk Assessment report includes details of: Risk Id, User, Risk Description, Who might be harmed and how, Current controls in place, Impact of risk event, Probability of occurrence, Location, Image and Cover Page. A useful report for all documenting workplace risks. Unlimited features. No credit card required. Take PATorganiser for a spin with a risk free 30-day trial. Unlimited features. No credit card required. The PATorganiser support team will respond to your support ticket within 24 hours.